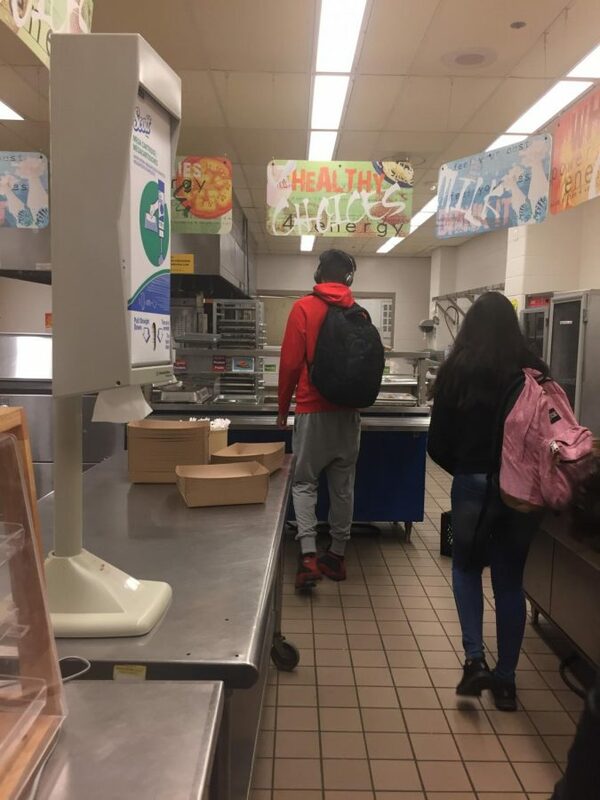 Students grab their breakfast before heading to first period. Free breakfast will now be served to all students who want it in the cafeteria between 7:15 and 7:45am, which is a change from last year’s schedule where breakfast was served in first period until 8am. Watkins Mill High School students learned of the change on the first day of school. “Be here by 7:30 so that you can get a good breakfast, feel good and have a great day,” principal Carol Goddard said. The new schedule will have morning announcements at the end of first period, a slightly shortened lunch, and no breakfast served after 7:45 am. These changes arose after students frequently showed up late to school last year. Because instruction began after breakfast at 8 am, students frequently arrived between 8 am and 8:20 am instead of at 7:45 am, which resulted in class disruptions and school-wide attendance issues. The Watkins Mill administration has also created new attendance policies to try to further correct this issue. These policies include phone calls home for unexcused absences and referrals. “Last year we had more time to get situated,” junior Isis Barnes said. “If you wanted to see a teacher before [first period] you could do that, but I feel like now everything is just rushed and hard to adjust to.” Because lunch is only 38 minutes long this year, students are struggling to find time to eat both breakfast and lunch and meet with teachers outside of class time.